Samsung’s new Chef Collection is the product of a collaboration with three world-renowned chefs. 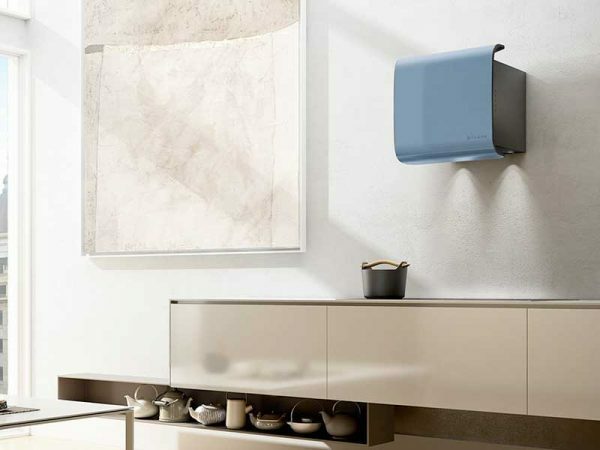 Drawing on their expertise and experience, they have helped Samsung to revolutionise the kitchen experience and to come up with creative and innovative ways for you to prepare, store and serve your food. 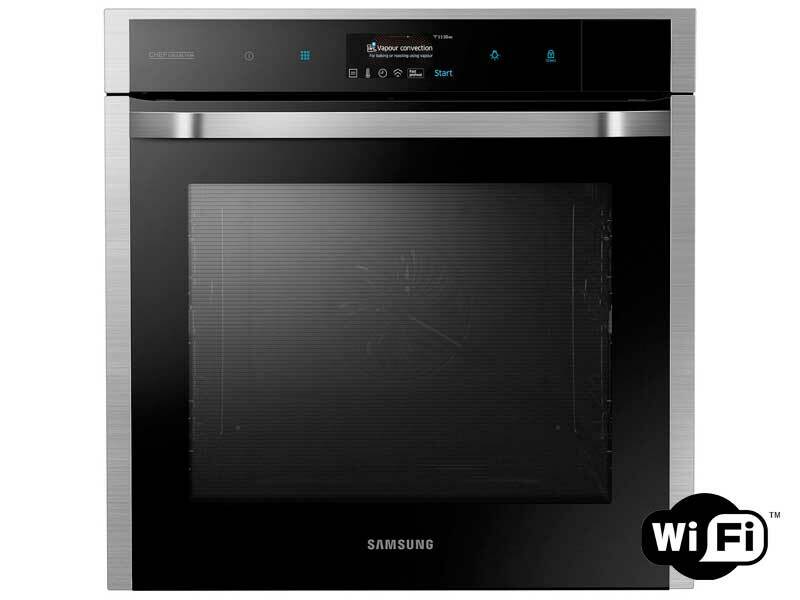 Embrace modern design and impressive technology with Samsung’s NV73J9770RS oven from their new Chef Collection. 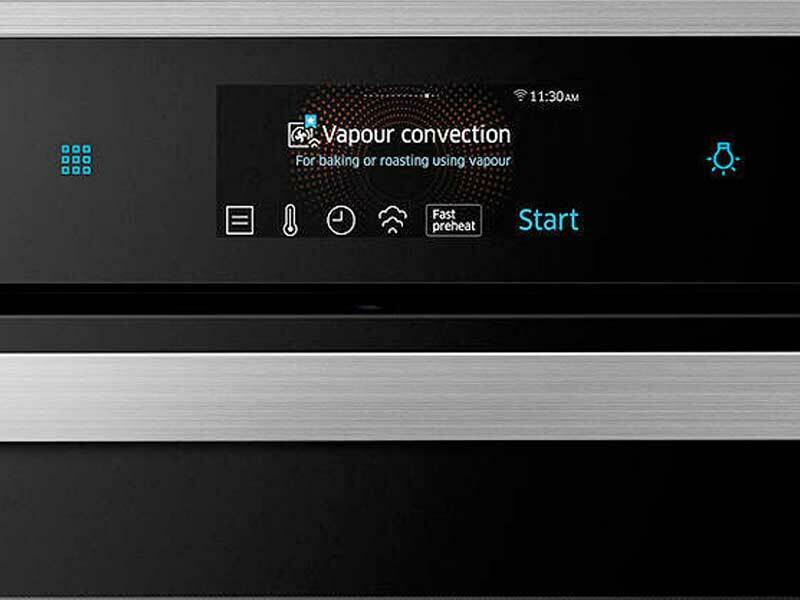 Using Samsung Vapour Technology™, this oven will optimise the taste and texture of your food by surrounding it with vapour. This quickly and evenly transfers heat and moisture, so your food is deliciously crispy on the outside and soft and juicy inside. The TFT-LCD control panel allows you to select and control functions and settings at the touch of a finger, making the whole cooking process quicker, easier and more ergonomic. And the silent soft closing door opens gently and closes with minimal noise. 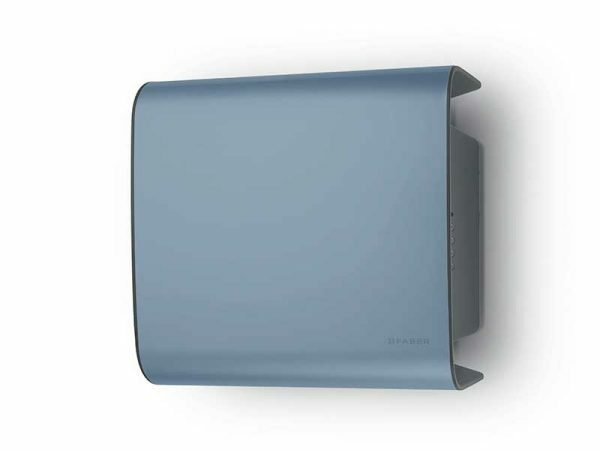 Monitor and control your oven no matter where you are by using the specially designed app. You can adjust settings, receive notifications and download recipes by chefs with Michelin 3-star restaurants from your smartphone. This way your food could be cooking and ready in time for when you get home from work. Available on iPhones and Android devices. This impressive model includes an Auto Cook programme with 80 tasty pre-set recipes saving you the time and effort of having to find them. 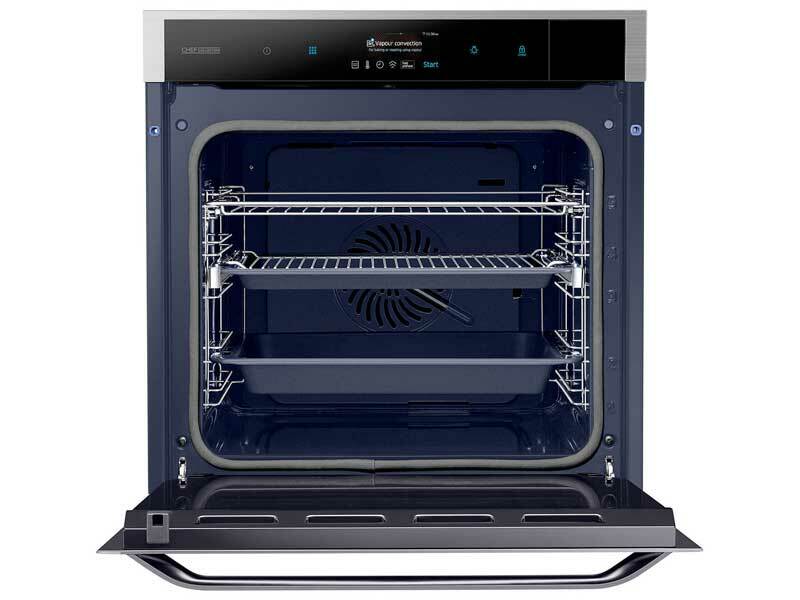 Simply select one and you’ll be provided with instructions on the LCD control panel, including the optimal oven setting for perfect results. Impress friends and family by cooking your meat and roasting joints perfectly with the special meat probe provided. 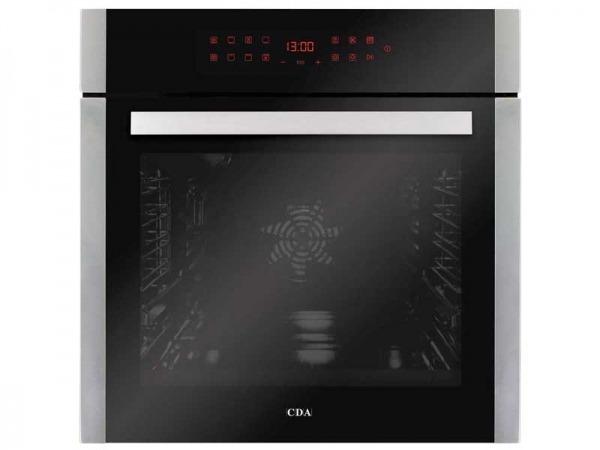 By allowing you to monitor the internal food temperature without any guesswork, your oven will let you know when your meat is thoroughly cooked. 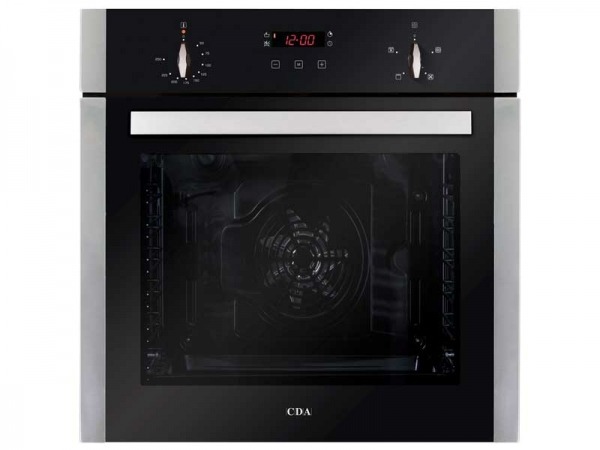 This way you can get on with other things around the home and not have to worry about opening the oven door to check on your food. 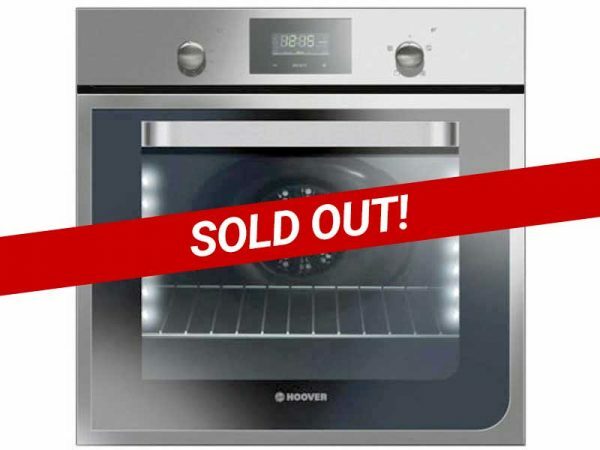 It will automatically switch off when the desired temperature is reached, so you never have to worry about overcooked or undercooked meat.